I was super lucky this month and won one of the Art Jewelry Elements Components of Month! It's a sweet Ammonite Focal from Kristi Bowman Design! I just happened to see the AJE post come up in my email inbox on the day it was posted (usually I miss it!) and was super psyched to see one of Kristi's components - hers are some of my favorites - and so I threw my name in the hat and was so excited when she contacted me that I was one of the winners this month! I actually have a nice little selection of some of her pieces. I'm known to hoard them. Anyway,....I knew right away that I wanted to make a really cool bracelet out of her focal pendant. However, what I had inside my head and what happened to come out of my hands are nowhere near anything alike at all. Nope. Not.At.All! I do think that what I ended up creating is much better than what was floating around in my brain, though. 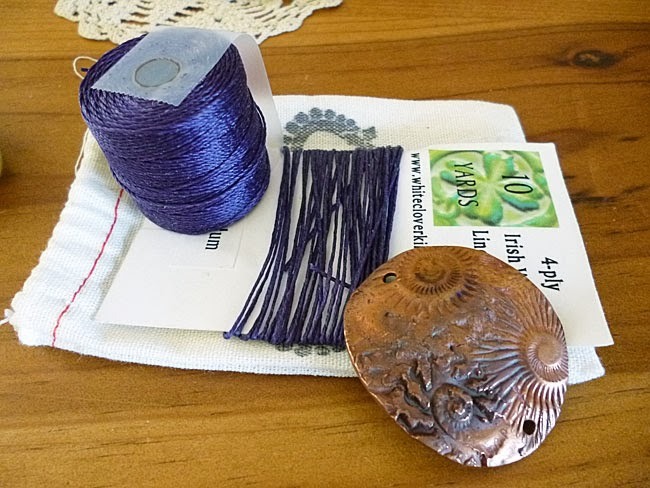 I'd pictured some purple cord with a few dark pearls with purple over-tones and possibly some nice chunky pieces of amethyst I have hoarded stashed away and a few copper beads and a handcrafted copper toggle clasp. See? What's below isn't at all like what I just described, is it? Well, in between getting Kristi's focal and having a chance to actually work on it, I was fortunate enough to get Cindy Wimmer's book, The Missing Link, (which is truly fabulous - you MUST get it!) that I had ordered. 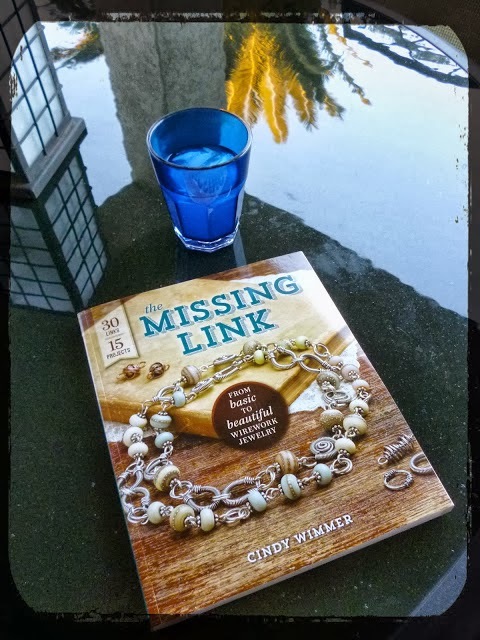 I was devouring Cindy's book the weekend after I received it and when I got to page 89 and eyed the Spiral Swirl Link - I let out a little squeal! I ran into the house and grabbed Kristi's ammonite focal and held it up against the pages in the book and said, "Perfect!" 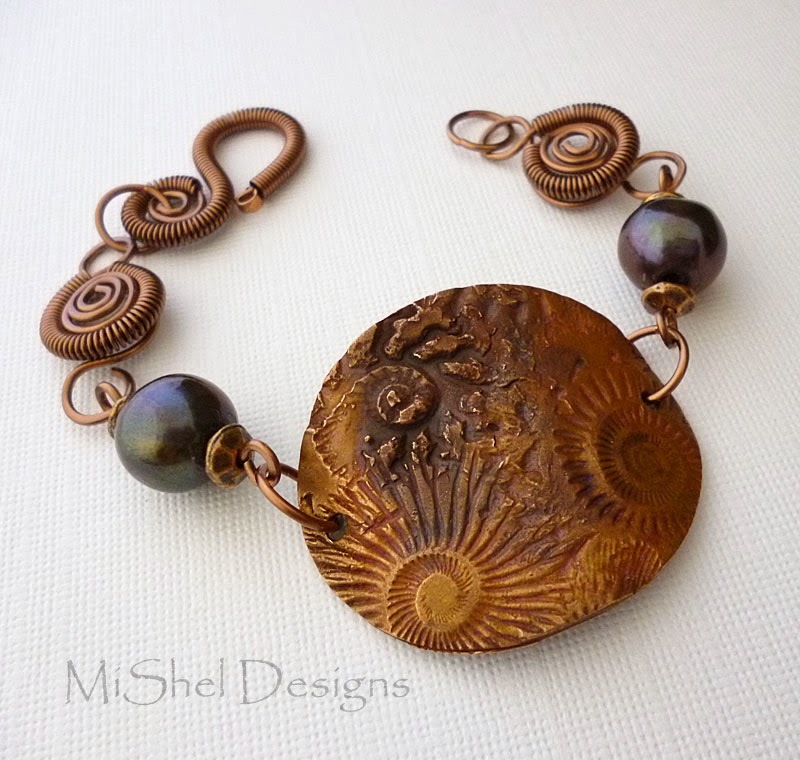 Since the focal is quite large I was only able to use two perfectly beautiful, dark, freshwater cultured pearls (Bead World - Scottsdale), a few copper beads and two of the Spiral Swirl links I created following the step by step instructions in Cindy's book. Then, I just 'adlibbed' a bit and made my own spiral hook clasp to complete the look. 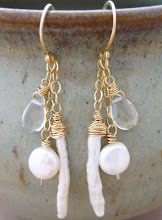 Art Jewelry Elements Blog - you gals ROCK! Thanks a bunch for stopping by to check out what I created - I appreciate it. Now it's time to hop on over to the AJE blog and see what the other winner, Kym Hunter with Kym Hunter Designs and all the regular contributors on the AJE Blog created. I'm sure you'll be drooling! Peace, Love and Nice Surprises! Shel you are so right, those spirals finish the bracelet perfectly. It's so beautiful you made me very proud!! I think I must get this book too!!! Thank you so much Kristi - that means a lot!! And yes, you really must get Cindy's book - it's fantastic! Thank you for your kind words Cindy!! You, need a refresher? I think not! LOL!! But come on out and join me anytime you want - we'll create lots of fun things! And, the only reason I have my outfit picked out for Thanksgiving is because every year my sis takes our family pics - so this year I actually planned ahead! I'll make sure she gets a couple of shots w/the bracelet showing and then post it after we return! OMG, what a fantastic piece! I don't know how you guys are all coming up with such great pieces with that focal, but each is different and GREAT! Nice spirals! Thank you Sherri! I'm excited to see what every one else has created with Kristi's yummy focals!! Wow! It's so gorgeous! 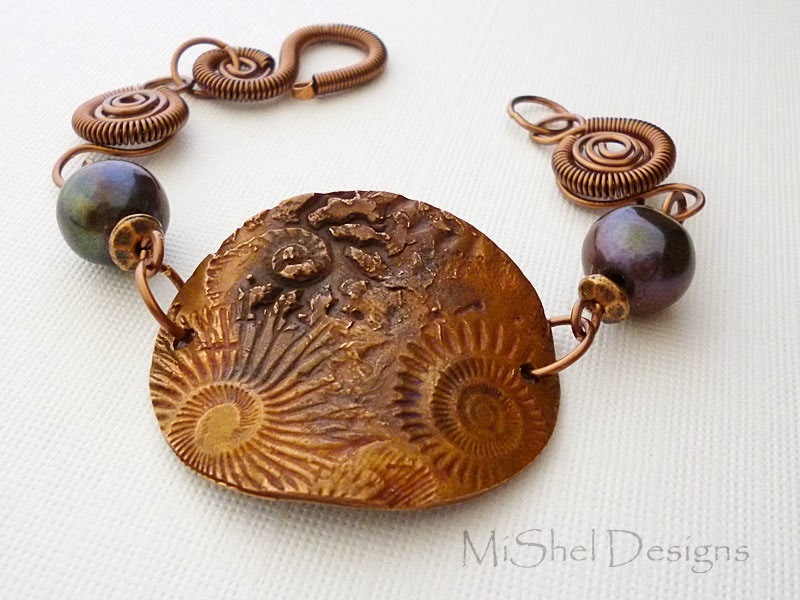 Those coiled spirals are perfect for Kristi's ammonite focal. I'm so glad you participated in the design challenge. Thanks for reading AJE! Jen - thank you! And yes, those sprirals look like they were made just for the ammonite focal, don't they?! Shel you know I love everything you make! I have to say as I was reading I could almost hear the squee with that link! Oh, Kristen - thanks! And back at ya girl! I'm sure you could hear me squeal - the neighbors did! LOL!! What a lovely elegant iece and your wire work is beautiful - great design. Wow, Shel! Gorgeous work on the spirals - and I love those pearls. Yummo! Make sure you post photos of this with the outfits! Thanks Francesca! And, I will have to make sure Marsha (my sis) gets a pic over Thanksgiving showing the bracelet w/my outfit! Thank you! And I hope you get the book for Christmas - it's really super! Wow, that's fantastic and your wirework is perfect for Kristi's piece! I have Cindy's book too, and it's great! Thanks for playing along! Beautiful bracelet...love the coiled links, and the color of the pearls is perfect! Thanks so much Melissa! Yep, those pearls were perfect for the colors in Kristi's focal that's for sure! My jaw dropped when I finally got to the picture of your completed bracelet! STUNNING! 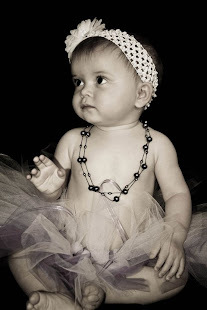 So beautiful - and the pearls are perfection as well! I really, really love this! Thank you so much Patti! It was fun to make! Gorgeous design, the wire coils match the focal perfectly, I'm going to have a look for that book on your recommendation! Thank you! And yes, Caroline do look for her book - it's really great. Hi Shel, That is a really beautiful bracelet. The wire wrap looks really nice with Kristi's focal!!! Hi Shel, just saved a comment but not sure you got it - and did want to make sure and tell you that I do love that bracelet! Thanks so much Lisa - I really appreciate that!! 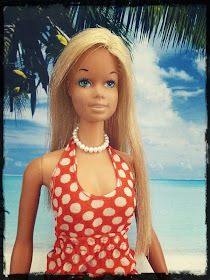 I too - pictured Cindy inspired links with Kristi's focal. You however made it happen in incredible fashion! Its stunning. Stunning work, Shel! The fact that you added a new link technique from Cindy's book blows me away. The nautilus style of the links and clasp are perfect compliments to the focal. With the two perfect pearls...just wow. Wow - love the wirework with the focal. So beautiful! I am in utter awe of your wirework! Those links...heck the whole bracelet is breath taking.